Relocating is never an easy thing to do. Between changing jobs, schools, neighborhoods, and houses the entire process can be overwhelming. Don’t let the massive amount of information, and your seemingly never-ending to-do list get the better of you. Let me help you sort through the information, check off those boxes, and find a new home, in a wonderful area. 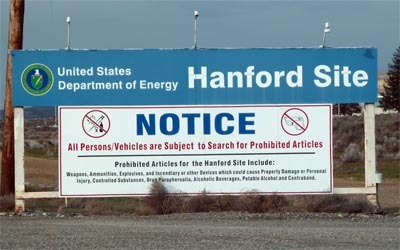 Located on the Columbia River, the Hanford site was first established in the city of Hanford in 1943. The site has been the site of many federal government projects, within the Department of Energy and other sectors. Throughout the years, the site, and additional employers, such as Bechtel and the Washington River Protection Solutions, associated with the site have employed thousands of professionals from various sectors and continue to create hundreds of jobs, which continue to attract a plethora of families to the Tri-Cities area from all over. For people relocating to the Tri-Cities area for work out at the Hanford site, commute times are going to be the biggest factor for you. There are a lot of people that make the daily drive out to the area and only a few ways in and out of the Hanford site. If you are looking for the fastest commute, Horn Rapids is a community that you definitely need to consider. Home prices in Horn Rapids are affordable, and the commute is almost un-beatable. For a bit more land, your next best option is over in Sunset Ridge which is in West Richland. Using the backroads, you can save quite a bit on the commute. There are many other communities that will work well for you and your family. I encourage you to use the community links to the right of this page for more information on each area. I have gone ahead and included Hanford Commute Times in each of the communities so you can have a better idea how long your daily commute will be. Another major reason for the increase in relocations that the Tri-Cities has experienced is the number of Hospitals that have been built in and around the area. New, as well as already established local Hospitals including, Kadlec Hospital and Trios Hospitals have led to the creation of hundreds of new jobs in the health care, sanitation, culinary, and health care administration fields. The growth that the local Health Care system has experienced has led to hundreds of job opportunities, and professionals relocating to the Hanford, Tri-Cities area from all around the country. If you are relocating here for the hospitals, please get in touch with me. There is a ton of new growth and hospitals are popping up all over the Tri-Cities. Relocating is a stressful thing to do and becomes even more stressful when you have a family to think about as well. With so much relocation going on in and around the Tri-Cities area, it is important to know where to find out the information that you need, when you need it. Relocating is a difficult thing to do, however, by working with a qualified professional real estate agent, you can have your questions answered quickly and completely. Not only that, but it will provide you comfort in knowing that you already have someone in your new city, who is in your corner, and waiting to help you out.